Functionality you simply won’t find anywhere else. Every product is new and unique. Unparalleled lifetime warranty. Let the soldering party begin! I don't care what anyone thinks, spaceship boards are my favorites! ・・・ #Repost @dshauges ・・・ There's just something that's so satisfying about designing and assembling a complex system and building my guitar rig has really helped channel that. My back is not very happy about carrying it though...maybe one day I'll figure out a way to make this thing smaller. While supplies last! 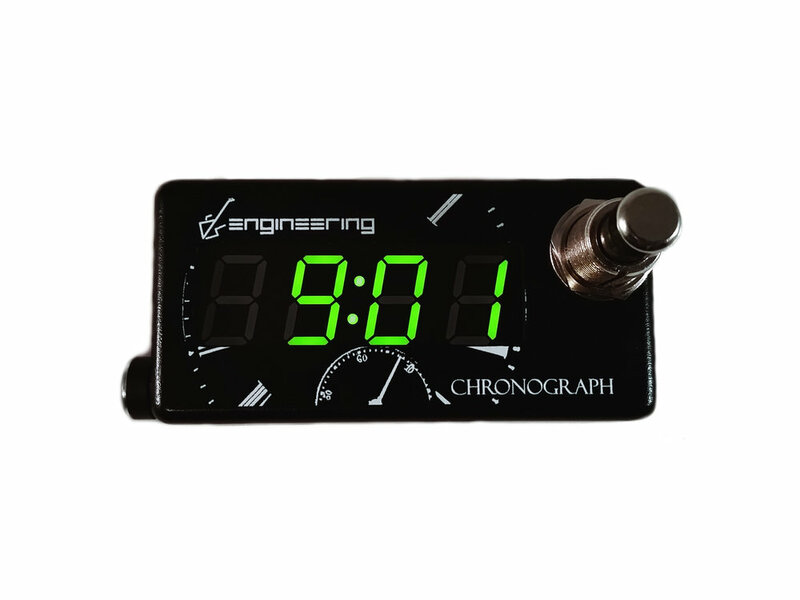 The Chronograph is temporarily out of stock, but you can still score a great deal on one of these! I love the variety represented on this one! ・・・ #Repost @rileynien ・・・ Just a little pedalboard update... Finally rocking the @walrusaudioeffects Phoenix and running stereo outs as well with the @sourceaudio Ventris! External tap mod! Who says you can't teach an old dog new tricks? It's been a busy week! Catching up on a lot of orders today. About halfway there! I love seeing setups with "underdog" products! 🙂 ・・・ #Repost @ckersh ・・・ Welp, with some patience and a ton of help from @x_ghost_wolf_x I’ve got the board back together with the new @americanloopers 5 way switcher front and center. Huge thank you to @stidham_dustin for the awesome board and to all the awesome companies that are a part of this thing. To God be the Glory!!! #Repost @sashairony (@get_repost) ・・・ Oh, I love this board! Got to experiment with the @jimdunlopusa JP Wah and @mooeraudio Auto-Wah simultaneously while recording the new @seekirony album! Our mission is to promote change in the community not only by keeping a passion for music alive and growing, but also through profit sharing with local charities and missions. A generous portion of every dollar we make is given back to the community to better the lives of our neighbors, our country, and our world.